Casidra has successfully completed the implementation of two chicken sheds for Kauthars Chicken Broilers in Hopefield. This is a Chicken broiler project that was started in 2016 and belongs to three female previously disadvantaged individuals. These beneficiaries applied for funding for the construction of broiler houses and production inputs and their request was approved by the Commodity Project Allocation Committee of the Western Cape Department of Agriculture. Approximately R700 000 of Comprehensive Agricultural Support Programme funds was allocated to the project. Casidra procured all the services and handed over the assets to the happy beneficiaries who are eagerly continuing full steam ahead. “The sheds are well looked after and in a clean condition. 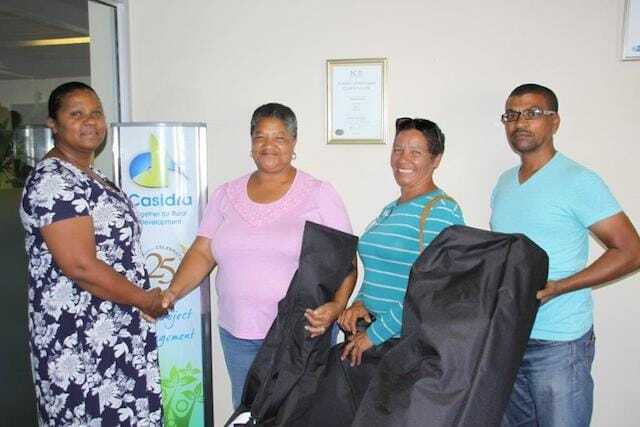 The beneficiaries have taken ownership of the project and I am sure that this will just be a stepping stone for them given their passion for the project”, said Casidra’s Project Manager, Jacques Swanepoel. 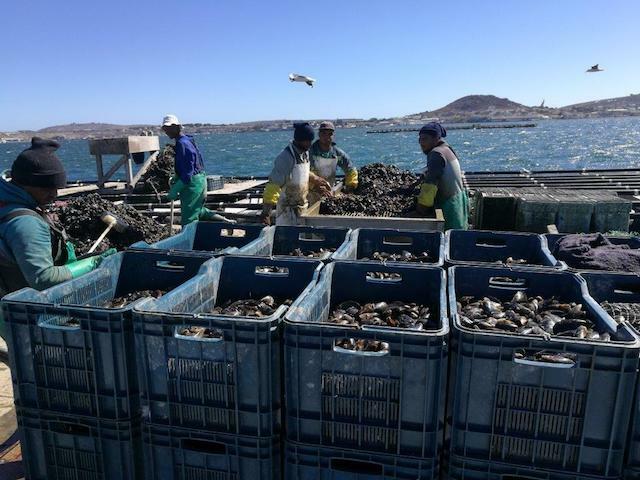 African Olive Trading is an Aquaculture project that farms with mussels in Saldanha Bay. The project belongs to members of the Saldanha community as beneficiaries. The project’s objective was to build seven mussel rafts (each 48 meters long x 5,1 meters wide) to produce at least 1000 tons of mussels per year and to fill the 30 hectare farm’s capacity over the next three years. As this was a challenge due to a lack of funds, the beneficiaries approached the Western Cape Department of Agriculture for assistance. The Aquaculture Commodity Project Allocation Committee approved R3,2 million to empower the project. Casidra, as the implementing agency for the WCDoA, used the funds to procure the service of building seven mussel rafts and the installation of mussel ropes. The project was successfully implemented as per the beneficiaries’ needs and requests. The beneficiaries are excited and looking forward for their forthcoming harvest of approximately 200 tons of mussels. Meulenhof Boerdery (Pty) Ltd is a grain and livestock farm for a black commercial farmer in Ceres. The Western Cape Department of Agriculture and Casidra supported the farm with the establishment of 380 hectares of grain through the procurement of production inputs. 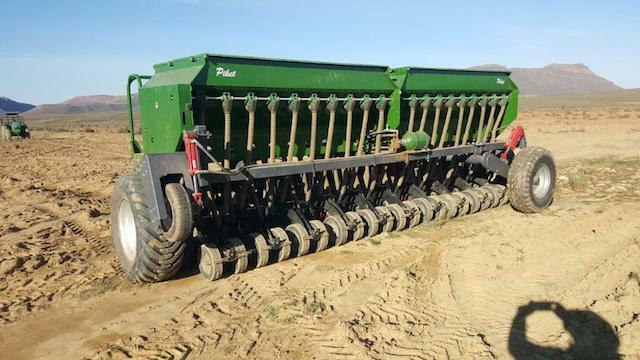 The Grain CPAC approved approximately R1,2 million, which was used towards the procurement of production inputs that includes 20 tons of oats seed, 108 x 50 kg bags of wheat seed, fertilizers, 483 kg of black oats, a 20 row demo planter and diesel. “All these made a huge impact towards the farm, as the grain is growing at a good rate due to sufficient rainfall, and a good harvest is expected later in the year. The planter that was purchased worked extremely well to plant all seeds with fertilizer in time. The farmer received and signed off all assets with a smile”, says Casidra’s project Manager, Gerrit van Schalkwyk. 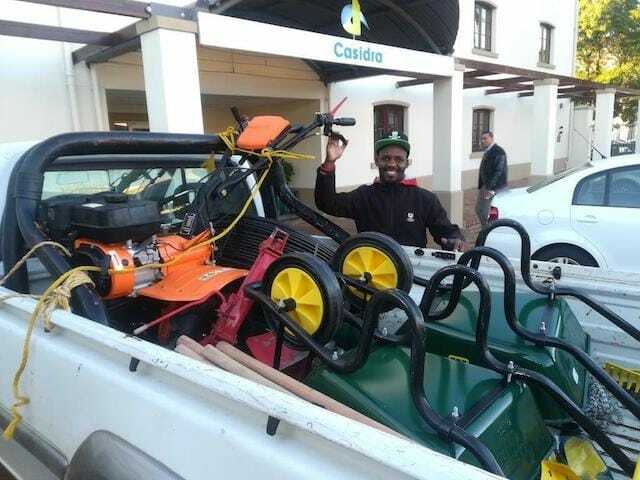 Our Project Manager, Yandisa Ndongeni, visited the Vision of Hope gardening project in Athlone to hand over garden tools. This food garden belongs to the project’s three beneficiaries. It supplies the local market and supports the Belthorn Primary School‘s soup kitchen with vegetables. The project received CASP funding from the WCDoA. The youth of Ebenhaeser (in the West Coast district) were extremely fortunate when Casidra conducted a two-day business skills training session for them on 13 and 14 March 2018. The training primarily focussed on Corporate Governance and Business Plans. During day one, the attendees were trained on what a co-operative is as well as its principles, membership, management and registration. On day two, our Business Advisor, Simozana Mdala, unpacked the elements of a Business Plan, which includes the business description, marketing plan, operational plan, financial plan and executive summary. Congratulations to the eager youth of Ebenhaeser for showing their interest and passion during the training session. Our Project Administrator, Johanna Klassen, has been on the road visiting the Council of Stakeholders across the Province to deliver different office usage material as per their specific needs. This material includes office equipment, communication tools (such as Smart phones, laptops, cameras) and branded promotional material (gazebos, banners, etc.). The purpose of the material is to empower communities and enable them to deliver excellent services and achieve their goals.